Check out our Tasting Menus! 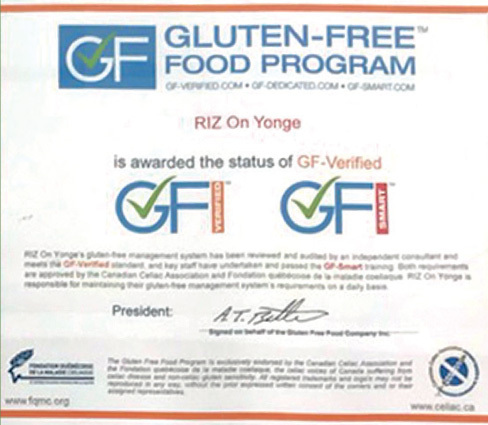 Toronto gluten free restaurant serving the finest in Celiac Safe Asian cuisine. For Reservations Please Call Us. 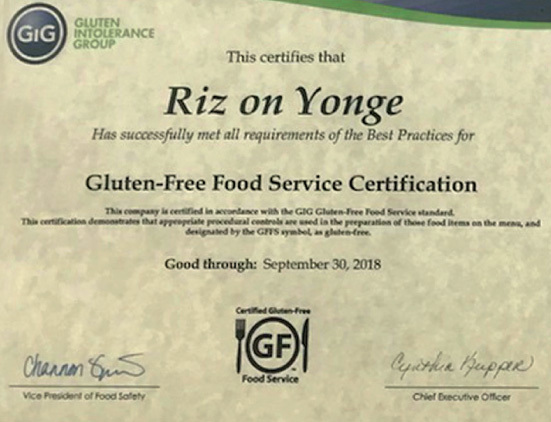 We are extremely pleased to announce that Riz on Yonge has obtained the Gluten Free Food Service Certification (GFFS) from the Gluten Intolerance Group of North America (GIG) for 2015. 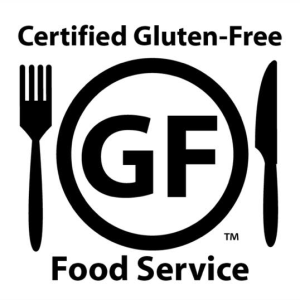 This certification acknowledges our ongoing commitment, as a gluten free restaurant, to preparing the highest quality of CELIAC safe gluten free pan Asian cuisine.